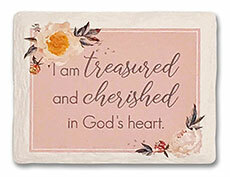 This beautiful magnet is an easy and affordable option for event favors, or gifts for friends and family. 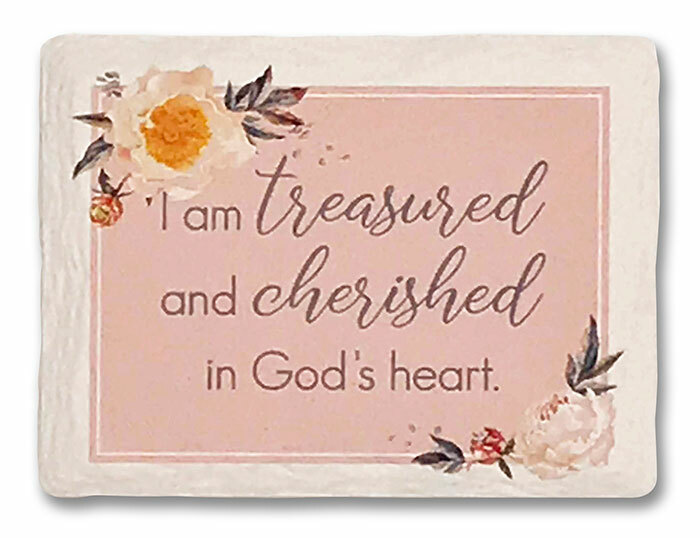 Features floral imprint and “I am treasured and cherished in God’s heart." Chiseled-edge ceramic stone magnet. 3.125" x 2.375"